Your parents may not have heard of it, but Baked & Wired's cupcakes are the perfect introduction to the D.C. cupcake scene. 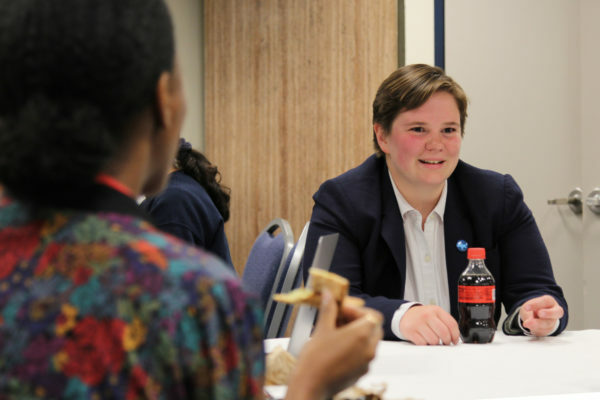 Both first-time visitors and veteran parents alike will make their way to Foggy Bottom this weekend. Perhaps you’re a freshman who wants to show your family your favorite hangouts, or maybe you’re a senior who’s run out of places to take them. 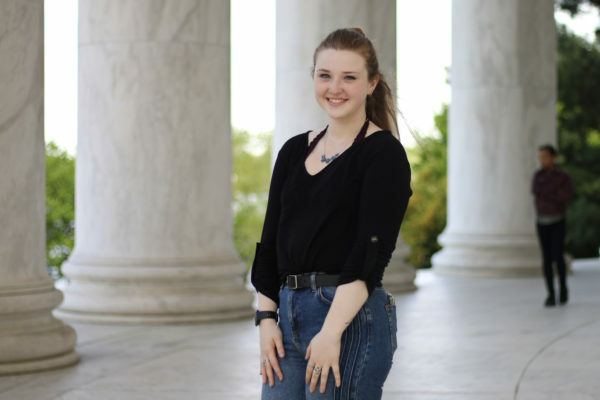 Here are some suggestions for you and your parents, grouped by grade level, to help them experience some of your normal college life while getting off Foggy Bottom. If you’re trying to explore more of the District but want to stay a bit closer to campus, there’s still plenty to do. Below are two favorites you can show your parents to give them a glimpse of your freshman experience. Your parents may not have heard of it, but Baked & Wired’s cupcakes are the perfect introduction to the D.C. cupcake scene. 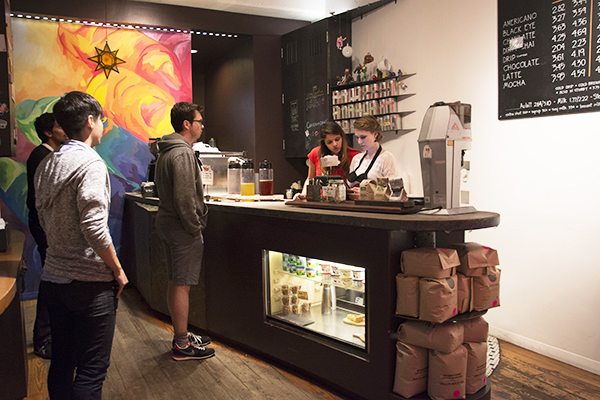 This rustic and quirky baked goods shop is popular among both students and professionals. Your parents might recognize Georgetown Cupcakes and Sprinkles, but this is the perfect way to introduce them to the cupcake scene. With whimsical flavors like Chocolate Cupcake of Doom and Unicorns & Rainbows, these cupcakes are big enough to share, but too good to do so. If cupcakes aren’t for you, Baked & Wired offers a seemingly endless selection of brownies, cookies and coffees that’ll please even the pickiest sweet tooth. Make sure you reserve your tickets to the top of the Washington Monument ahead of time – the view from up top is unparalleled. 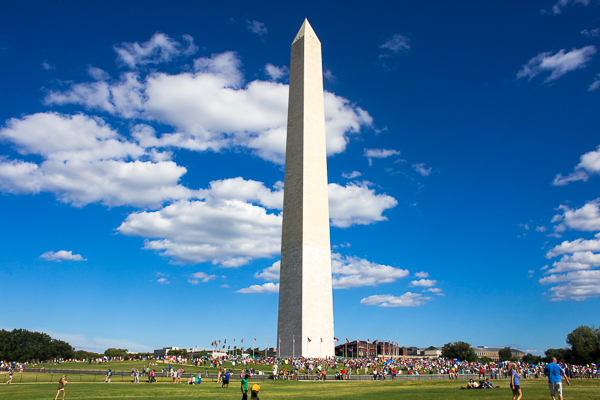 If there’s only one monument that you take a walk to see, make it the Washington Monument. It reopened in May after nearly three years of repairs. Reserve tickets ahead of time on the NPS website (it only costs $1.50) and enjoy a scenic view of the city from the top of the tower, a relaxing walk alongside the Reflecting Pool or, of course, an opportunity to take the quintessential family photo on the National Mall in front of the obelisk. You have a year of experience under your belt now, and so do your parents (if they visited during your first year). Venture a little farther outside your Foggy Bottom comfort zone and try something new while your family is in town. 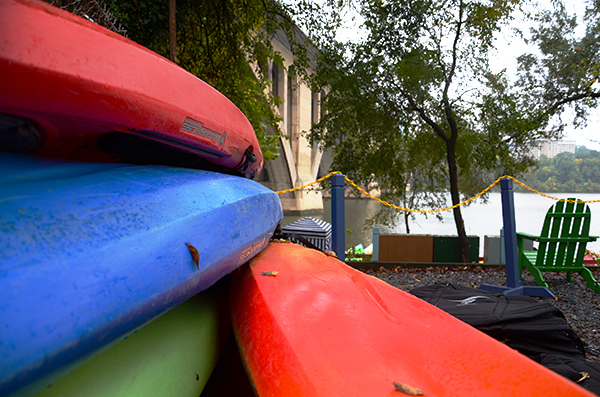 The Key Bridge Boathouse offers all types of boats if you want to get out on the Potomac – from kayaks to stand-up paddleboards. If you’ve always wanted to go paddle boating on the Potomac River but didn’t know where to go, rest assured: the Key Bridge Boathouse (formerly known as Jack’s Boathouse) has been in business for over 60 years. Key Bridge offers everything from kayaking to stand-up paddleboarding, and if you’re shaky on your boating skills, they offer lessons, too. Escape the congested streets and bustling city for a while as you float serenely past the monuments, Georgetown Waterfront and Roosevelt Island. Kayaks are $15 an hour or you can rent canoes for $25 per hour. Don’t settle for Domino’s – Pizza Paradiso offers all kinds of creative toppings for every palate. After a year of eating the same kind of pizza, whether your preferred piemaker was Domino’s, Whole Foods or Bertucci’s, the time has come to be more adventurous. 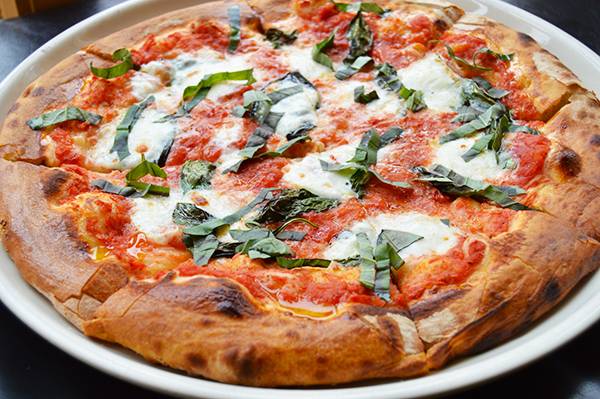 Impress your parents with your taste in artisanal pizzas without breaking the bank at Pizzeria Paradiso. The shop has both old favorites like margherita and more exciting options like siciliana, which boasts 10 unique toppings like zucchini, eggplant, capers, sweet peppers and more. With authentic Italian desserts like tiramisu and salame di cloccolato, you can’t go wrong. Your parents have likely visited you so many times by now, they probably know all the cupcake flavors at Baked & Wired by heart. Now that you’re well-versed in the more mature hot spots in the city, you can pull out the big guns and take your folks to the two places below. 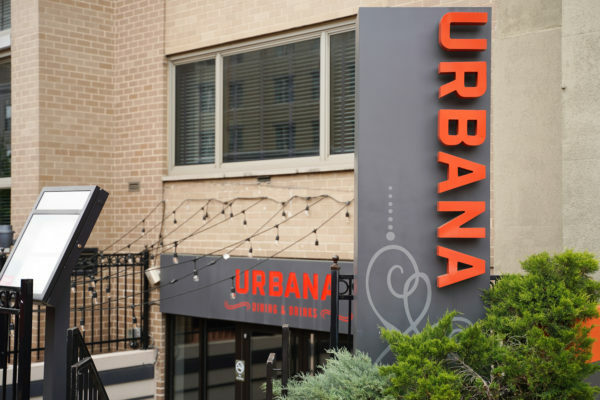 As Chef José Andrés says, “simple ingredients, treated with respect… put them together and you will always have a great dish.” The owner of several of D.C.’s most celebrated restaurants, Andrés is credited with bringing the concept of small plates to American dining. Jaleo is his Spanish-cocina themed restaurant, offering small plates that put a modern spin on traditional Spanish cuisine, such as a paella, made with toasted pasta, shrimp and calamari. Your parents might also enjoy the skillfully hand-crafted cocktail menu. 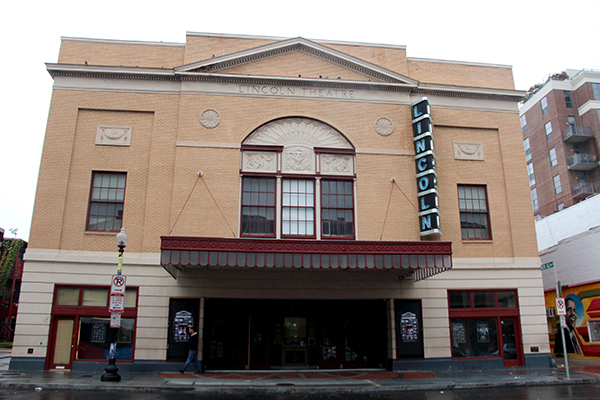 The Lincoln Theatre has been a D.C. cultural landmark for decades. The theater will host comedian Hannibal Buress on Oct. 17. Often called “the jewel of U” for its cult status as the stage that predated and influenced the Harlem Renaissance, the Lincoln Theatre has served as a cultural center for D.C. since 1922. The legendary venue is known as a place where all kinds of artists, from actors to rappers, share their life experiences with the audience. On Oct. 17, seasoned comedian Hannibal Buress will present his “Comedy Camisado” show for less than $30 per ticket. Be sure to do some pre-planning so you can buy your tickets before they are sold out. Your parents have seen it all by now. They may have even eaten Jumbo Slice with you after a night out in Adams Morgan. Now is the time to press pause and spend time with them without spending too much money. A crowd pleaser since its inception, Rasika West End offers a high-end and sophisticated alternative to Rasoi, a freshman-year favorite that accepts GWorld. By mixing Indian cuisine with a unique take on the small-plates concept, Rasika is the perfect way to give your parents that luxurious dining experience without making a large dent in their wallets. When the modern-fusion menu boasts appetizers like Mango Shrimp and entrées like Paneer Mattar at prices that don’t reflect the posh and indulgent ambiance, you know it will please. Have you ever seen a menu that listed options like The O’Keeffe ($33) and 1 Hour Studio Time ($16)? If you head to Art Jamz, you certainly will. It’s an art studio in Dupont Circle that combines painting with alcohol to boost creativity and lower inhibitions. Each menu option corresponds to a package that you can reserve ahead of time, and each one comes with paint, a canvas (pick from a variety of sizes), an alcoholic drink (pick from beer, wine or a cocktail) and an allotted amount of studio time. You’ll leave the studio with new artwork in hand, as well as a night of bonding with your parents.